It’s here! 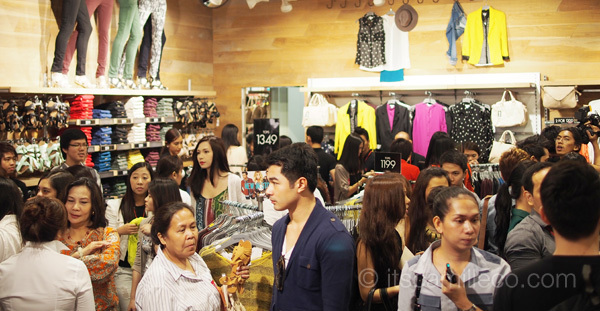 Cotton On finally opened last week with a bang! And because I know a lot you might’ve missed the launch, let me show you what went down last September 6. Remember my previous blog entry inviting student models to audition for the Cotton On fashion show? Before the fashion show started, a short clip of what happened during the auditions was shown. Meet the student models’ judges: (from left to right) that’s Laureen, Patricia, Cecille, Elmer, Vern and me! See, we look like the friendliest and happiest set of judges haha! When I finally saw the student models we selected come out on stage, I felt like such a proud mama! 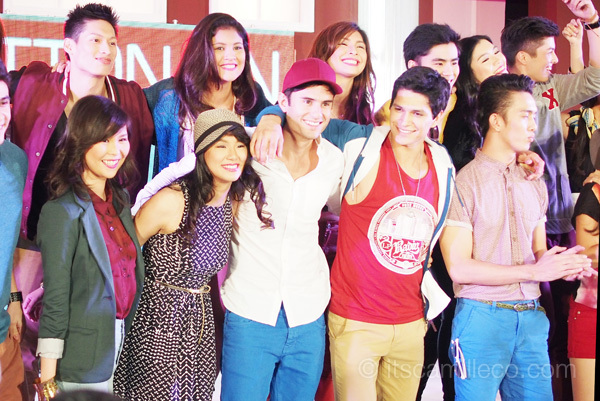 Meet Cotton On’s Class of 2012! Everyone was decked out in Cotton On’s latest collection, all of which are already available at Cotton On’s first branch here in the country, SM Mall of Asia. This girl is clearly one of my favorites from the students that auditioned. She looks so much like local celebrities Angel Locsin and Bubbles Paraiso! I love the leather-like red pants on her! Another pair of pants that caught my fancy. Pants not for you? 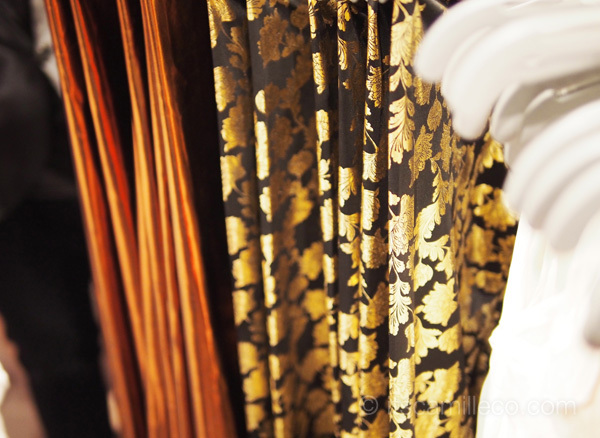 How about this sequined gold skirt? I actually have this! 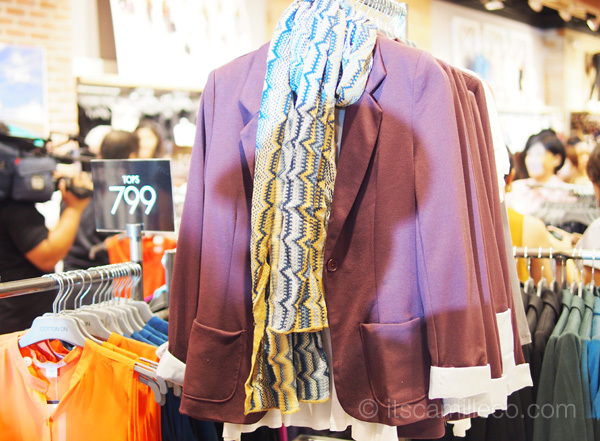 Cotton On has a lot of basic knits too like this loose cardi. I adore the color it’s in! So perfect for lazy days! After watching the models walk down the runway, we were greeted by a surprise dance number. All the dancers were dressed in Cotton On too. Check out their leggings! 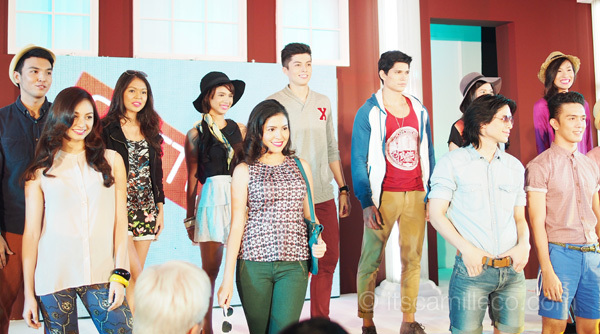 In true Cotton On fashion, a lot of them were dressed in comfy basic shirts and plaid buttondowns too. Spot the cute leopard print shorts. See any clothes that you like? I love the blazer and printed dress! I’d definitely wear those to school! And that’s a wrap.! Such a jolly group of models. I really felt like I was in one big campus party! 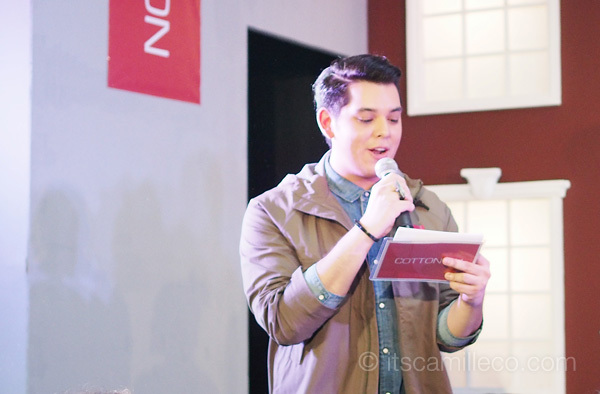 Host for the night, Raymond Gutierrez, officially ended the show and lead everyone to the unveiling of Cotton On’s first store. 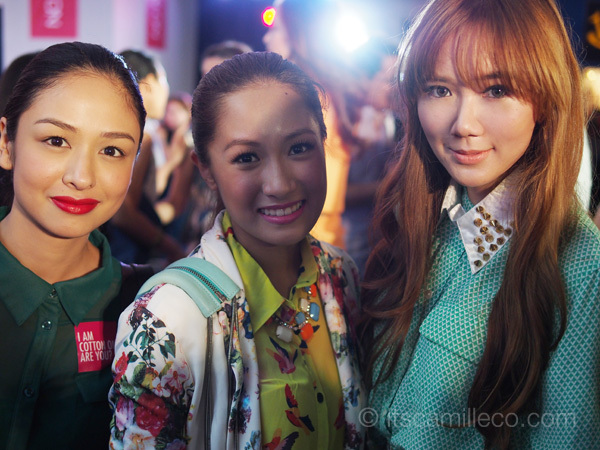 But not without Laureen and I grabbing a quick photo op with model/host/actress Kelly Misa first haha! Nice to see you again, Kelly! Always looking so radiant! And actress/singer Karylle who’s also looking great! So now back to the store! 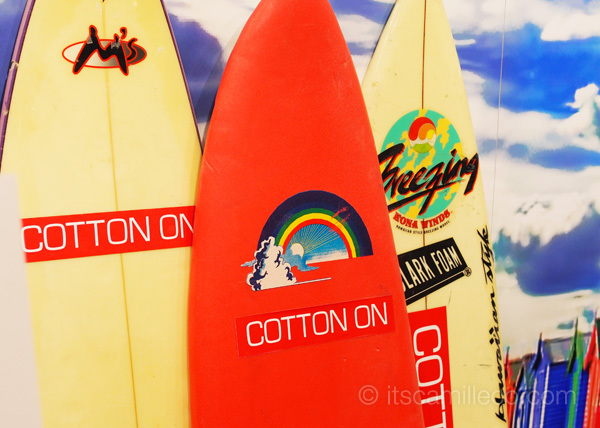 The store design: Cotton On surf boards to get an Aussie feel. Of course this instantly caught my eye. I love the burgundy color of this blazer! More blazers! AHHH! And they’re quite affordable too! Printed tank tops for casual days. Denim shorts to get us through the hot weather! LOVE this! It’s a nice and more affordable alternative to studded corsets from other brands. Jeans in both plain and printed denim. Metallic leggings for the holiday season. I wish I can show you more items that I spotted, but take a look at this crowd! And to think this was the VIP opening only! I had to stop snapping and start shopping in fear of stocks running out on me haha! In the end, everything worked out. We were definitely a bunch of happy kids with our Cotton On loot! How about you? 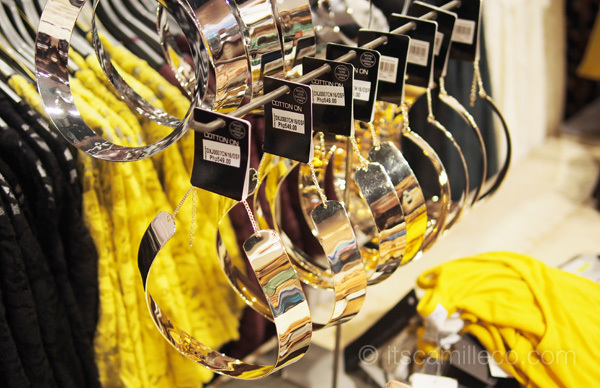 Have you visited Cotton On already? :) I suggest you drop by this weekend in time for SM Mall of Asia’s BIG MOA SALE too! Prepare your wallets, people! It’s shopping time once again! 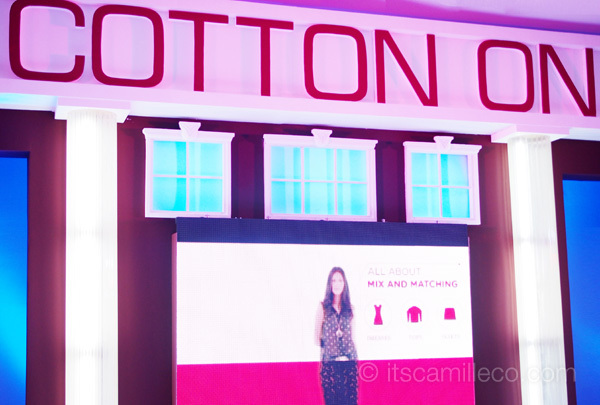 Follow @CottonOnPH on Twitter for more updates! Your smiles just say it all. Like kids at a candy store. Couldn’t get in Cotton On this weekend because of the sale. Ended up hobbling into Muji and Uniqlo instead. Absolutely bonkers of a sale. Mental note: Next time, go in early. When i saw that studded bralette, i gasped, spazzed, and drove my car to moa!!! Hahaha :) Yes you are! Everything looks amazing! 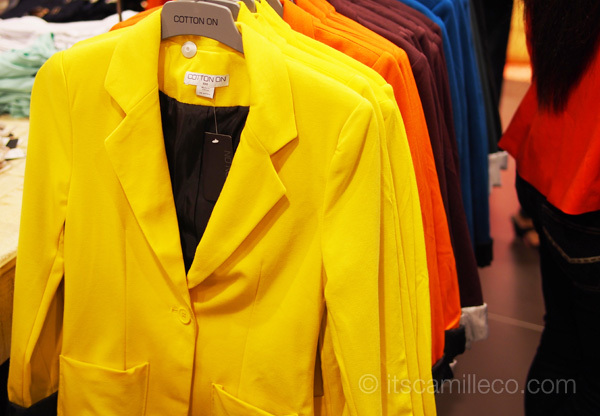 Would you say that the prices of Cotton on are similar to American priced H&M or Zara? I also really like your outfit – it’s very trendy! I’ve never seen this label/brand before – but loving it! I can’t believe they can dance like THAT in those leggings! (looks like jeans!) SO FAB! Right? It means they’re that comfortable! You should check this brand out! You’ll love it! I love the outfits the models wore! So jealous that you got to have your picture taken with them! Can’t wait to shop there!! I hope you got some! you know hm much is the blazer? :-) thanks! u loook great!